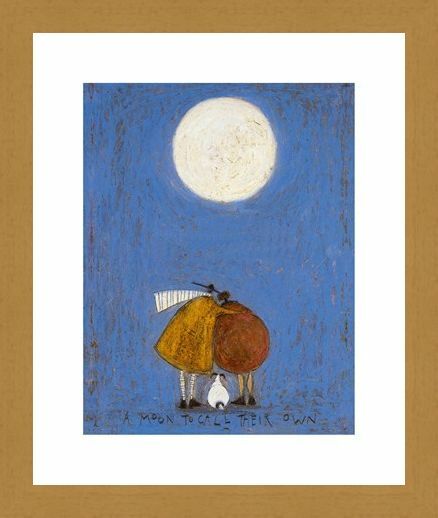 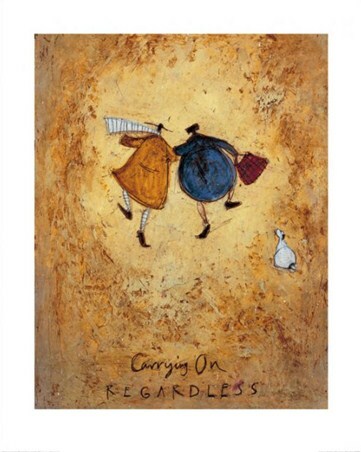 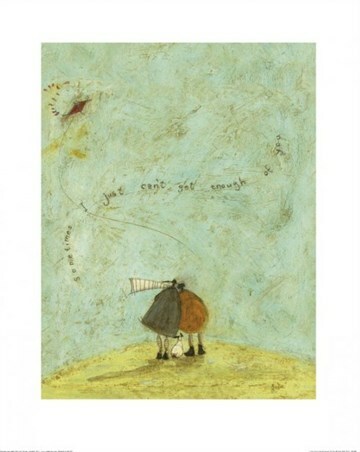 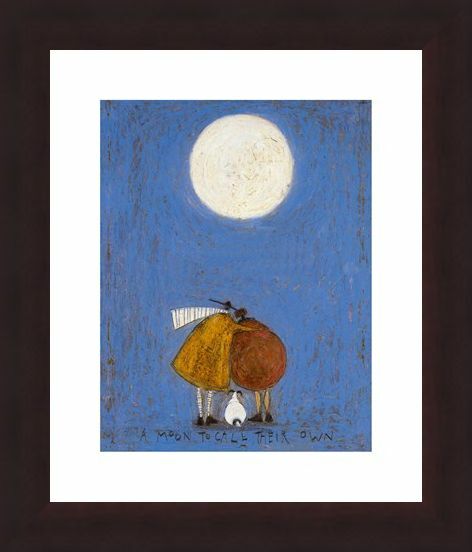 Art Print: Treat yourself to a wonderfully romantic evening with this adorable art print by Sam Toft. 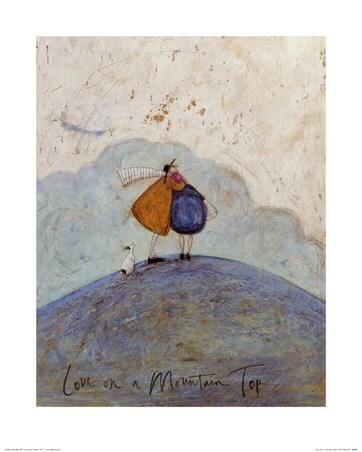 Featuring Mr and Mrs Mustard standing together, Mr Mustard wraps his arm around his wife as the striped scarf he is wearing blows in the evening breeze. 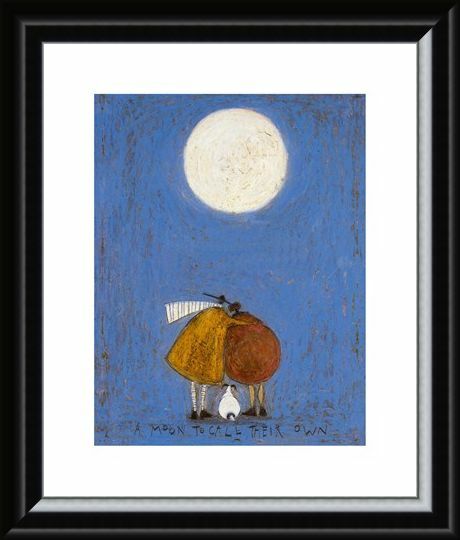 Their little dog, Doris, sits patiently behind them as they share a loving moment together under the light of their very own glistening moon. The night sky is illuminated by the satellite in this wonderful print which is guaranteed to radiate love and contentment throughout your home. 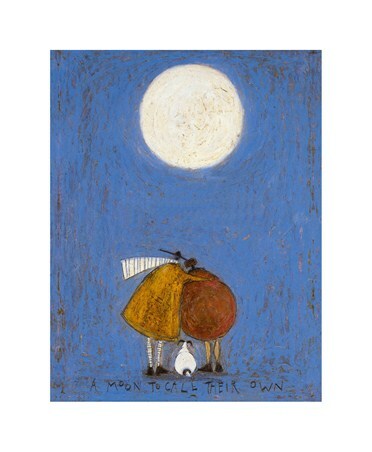 A must have for lovers of cute, simplistic art which stands out from the crowd. 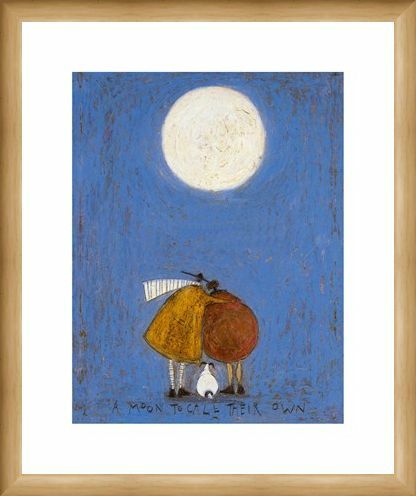 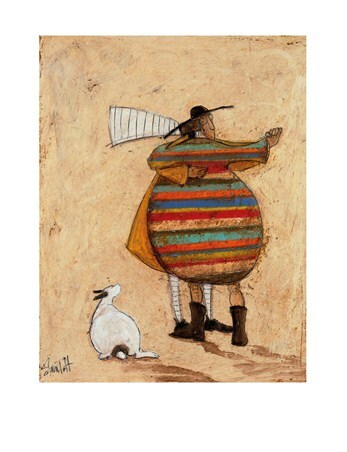 High quality, framed A Moon to Call Their Own, Sam Toft print with a bespoke frame by our custom framing service.